I settled onto the stool at Photoworks, ready to have a passport photo taken. I cocked my head, lifted my chin and grinned. “Don’t smile!” Alex Fernandez, Photoworks owner and experienced passport photographer, told me. And so I complied, even though I like to think of myself as a smiley person. Not surprisingly, the picture turned out terrible. It’s far worse than my driver’s license picture, taken way back in 2009. Eight years passing could explain the difference, but I think it’s more that my head is cocked, my chin is lifted and I’m smiling in the driver’s license photo. I could hardly wait to get home and research the “no smile” rule. I learned some interesting stuff. 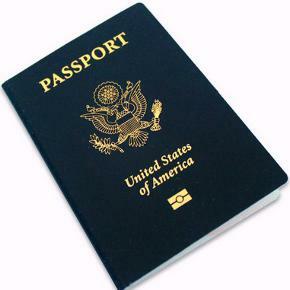 Both the U.S. Department of State and the International Civil Aviation Organization have instituted passport rules designed to help thwart terrorism and other crimes, including pretending to be someone you’re not. One of their strategies uses facial recognition biometrics, which scans 14 to 20 points on a human face and measures such things as eyes, nose and lips and the distance between them and then feeds that information into a computer. When you go through any passport security checkpoint, a camera scans your face. A computer then performs complex mathematical calculations and decides if the real you is a close enough match to your passport photo to allow you through security. The kicker is that anything that distorts those measurements, including eyeglasses, hair covering too much of your face or—you guessed it—a smile, changes your face to the extent that the facial recognition software might not recognize you. You’re also not allowed to wear any head coverings, including hats, scarves, headbands or bandanas unless they’ve been officially authorized as necessary for medical or religious reasons. The good news is that you don’t have to get a new passport photo if you’ve grown or shaved a beard or changed hair color. But if you’ve undergone significant facial surgery or trauma, added or removed significant facial piercing or tattoos, had a significant weight loss or gain or made a gender transition, you do. That’s a lot of rules, but it’s good to know there’s a reason for them. My big dilemma now that I have a passport photo: should I begin using it to accompany this column rather than the photo I’m using now? Tune in next week to learn what I decided.